What is our purpose, what defines our course and what does life demand from us? What is the reason of conflict? Do freedom and free will actually exist? What is the power dictating the forms and ways of human relationships? Can we really reach the core of truth and love? Dimitris Vithos’ speech on the TEDxPatras 2018 stage will be an attempt to deal with all these questions. Using simple and practical examples showcasing the value of acceptance, Dimitris will explain why acceptance of ourselves and of “others” is the key element to a path leading us from acting as individuals towards becoming part of the big “Whole”. Getting there can ultimately allow us to access true understanding of the whys and hows of our very existence, of human relationships and of that power determining the whole universe… Come and be part of the TEDxPatras audience to witness a different speech, approaching “Values” through the prism of philosophy. Dimitris Vythos has been acting as Creative Director and Copywriter at a Sentimental Branding level, with expertise and international experience in implemented communication and advertising. He is a postgraduate specializing in postmodernism, stereotypes and Social Media and Public Advocacy. He is actively engaged in traditional archery, Ninjutsu and Chi-Gong. 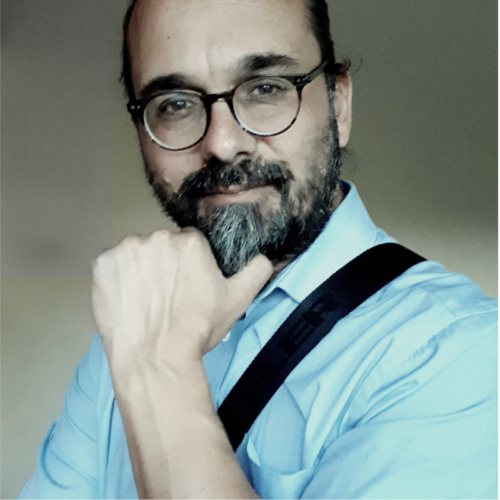 A “Seeker of Truth”, as he defines himself, Mr Vythos has participated in various mystical and philosophical communities, while he considers himself an empiricist agnostic. His family origins come from Zakynthos, but he was born in Australia, where he has lived for many years. Currently, he works and lives in Cyprus.